I would like to thank everyone who stayed & supported on MCA tonight, it was a dream to play. Sorry I didn’t get the win but I gave my all. IT’S quite a sight when a predicted storm hits. Weather-wise, we’re crying out for it here in Melbourne – tonight’s southerly buster can’t come quick enough. 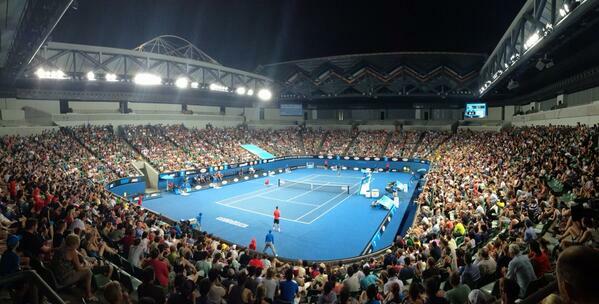 Tennis-wise, a storm has hit Australian tennis – 2K. Not Y2K. That was useless. 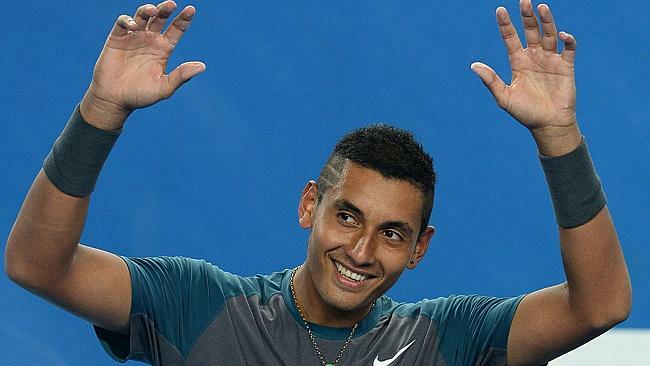 The real 2K: Nick Kyrgios and Thanasi Kokkinakis. A week like this has been building up for a while behind the scenes. The boom began years ago. Colleague on The Daily Serve Pat Cash witnessed it on a junior Davis Cup tour, quickly noting Kyrgios as the alpha male, leader of the bunch while Kokkinakis was the clever one, always quick with a comeback. I remember talking to Wayne Arthurs two years ago at a Grand Slam event, pondering another failure of our players to do any sort of damage in the first week. The inevitable “is there anyone on the horizon?” topic was brought up. He just nodded, and said watch out for these kids. Numerous other Tennis Australia types have been excited for a while. We can see why. Sure they are out of the tournament now, but talent-wise, they look set to be part of the discussion in Melbourne, Paris, London and New York for over a decade. But a little more about how they got here. French 27th seed Benoit Paire has advanced to the third round of the Australian Open, but not before Aussie up-and-comer Nick Kyrgios took him all the way in a five-set thriller on Margaret Court Arena. 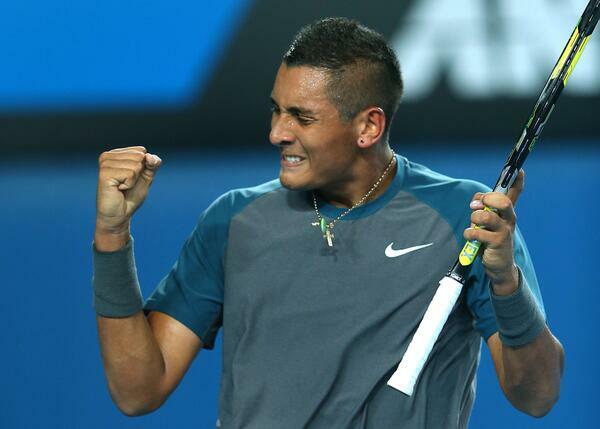 Kyrgios, from Canberra, is a natural on the big stage. So is his sister, who travels the world and is now based in Asia as a musical theatre performer. He loves the spotlight, like at last December’s Newcombe Medal when the dancefloor started up. He cut loose, with success. He also loves basketball, and was showing talent in that pastime before he decided tennis was his thing. Good choice. The trick for Kyrgios to master is getting to these events in the best possible shape in order to turn promise into something tangible. There’ll be events on cold May days on clay in Europe, with four people watching to battle through. Punishing pre-seasons at Melbourne Park, spending four hours on court and more time in the gym. We witnessed one such day in the lead up to this summer, and it was brutal. But that will need to be repeated hundreds of times over to get to the point of delivering on promise. That’s why last night was so good – it’ll make him acutely aware that’s what is required. The same applies for Thanasi Kokkinakis, who doesn’t have the showmanship of Kyrgios but has bucket loads of commonsense and drive. An Adelaide boy, his eyes have been fully opened to a Grand Slam tournament here, after missing out on the big show last year due to injury. He lost a few months due to a stress fracture in his back. His second. Growing pains, but hopefully worth it, because it’s made him realise early on not to take anything for granted. He hasn’t here, soaking in everything about the event, dealing with the publicity. He did things slightly different, keeping his longtime coach, Todd Langham instead of going with a Tennis Australia employed option. TA have helped him, bringing Langham into the umbrella, which is smart now because Kokkinakis and coach are like brothers and know each other backwards. 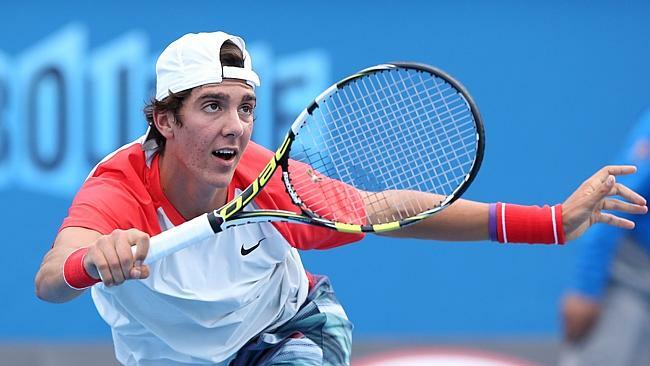 Rising star Thanasi Kokkinakis showed that he was no easybeat against world number one Rafael Nadal in their second round clash at the Australian Open despite the Spaniard advancing in straight sets. 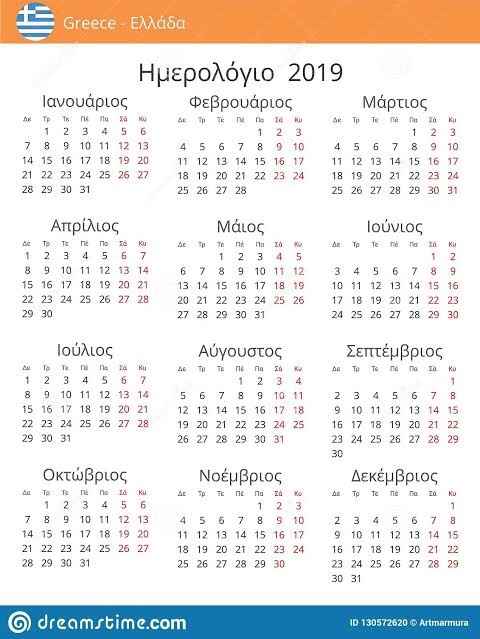 Thanasi prepared in America this off-season, annoying a few people in TA who perhaps saw preparation in Melbourne as a better option. But the 17-year-old was hitting with Americans like Sam Querrey, while going to LA Clippers games (like Nick, he loves his NBA) and going to Jay Z concerts. He knew it before, and the match against Nadal was just further confirmation: he’ll have plenty more opportunities like that if he picks the right schedule and gets his preparation spot on. These two will leave Melbourne feeling pretty good about themselves as they head out into the big, wide world of big boys tennis. All the ingredients are there for good times ahead and it will be fascinating to see where they are in 12 months-time.